Its been almost 2 years since the last time I updated this blog. The truth is that ever since I moved back to Greece life changed completely. 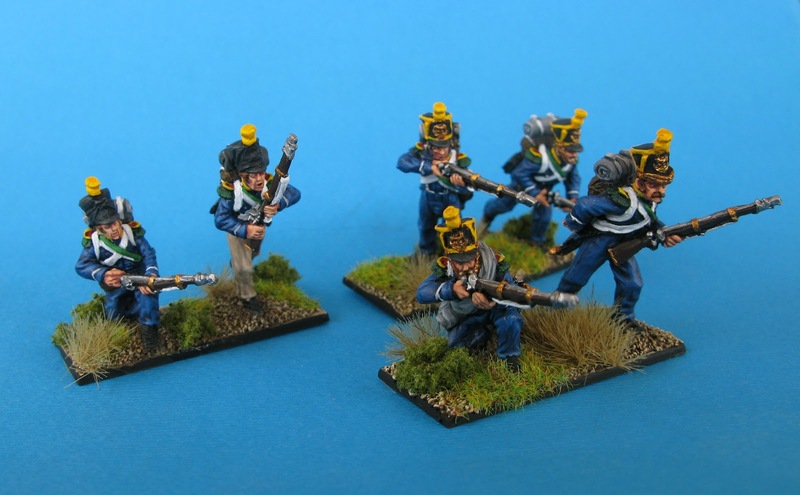 Mind you, I never stopped painting but the main focus of the local gaming clubs was -and still is- fantasy wargaming. 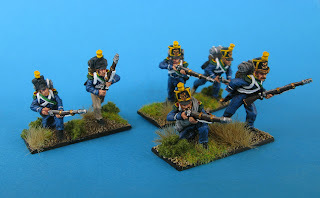 Therefore my precious napoleonics got a prominent position in my glass cabinet and I took my fantasy armies to the field. 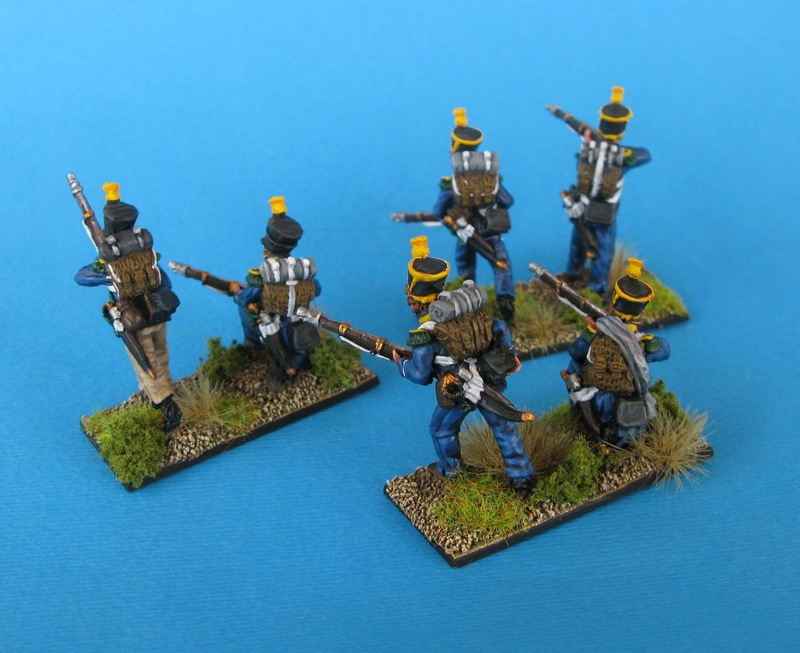 I never forgot though the great times I had with the West Tokyo Wargamers and for this reason I always hoped that one day I would find people in Athens that would want to game Napoleonics in 28mm. 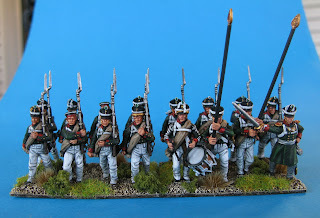 Eventually I saw some wonderful looking Scots on the Steve Dean forums painted by a fellow Greek. The good news is that this guy (Andreas is his name) is located here in Athens and regularly meets and games with some friends in my local gaming club! 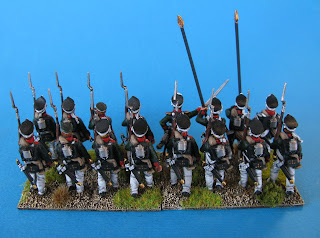 The moment I have been waiting for has come and after meeting with Andreas in the local club we agreed that we should arrange an introductory game of Black Powder at some point in April or May. This means that my 7 battalions of French and my 6 Battalions of Prussians will take the field in the near future! Obviously this had a great effect on my painting mojo and I have resumed painting in earnest! Rest assured that I will be updating this space soon! 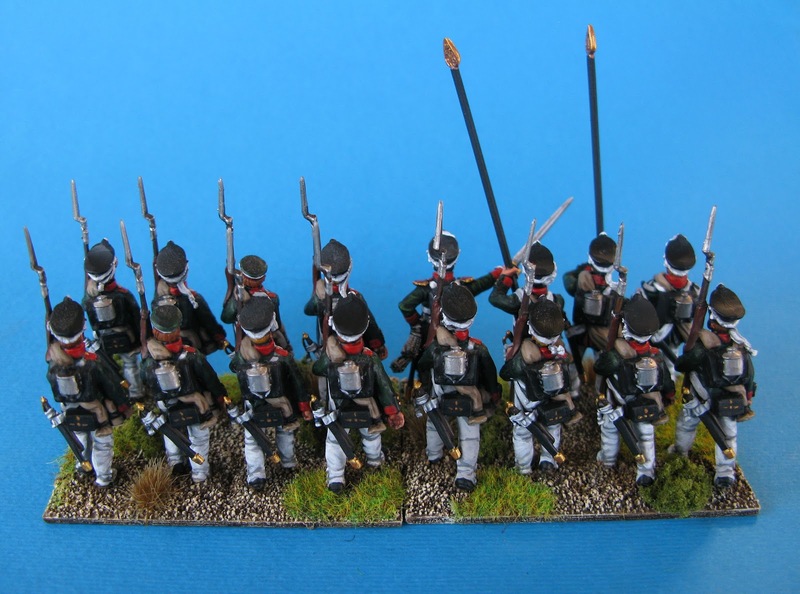 Another French battalion is about to arrive ready for inspection! An Athenian Hoplite by Victrix. Anyway I hope you like it.. My next update will probably be much richer! Watch this space as I will be updating it very soon! The flags are missing but I should have them in my hands some time this coming week. Well it has been quite some time since I updated this space so I believe an update is in order. 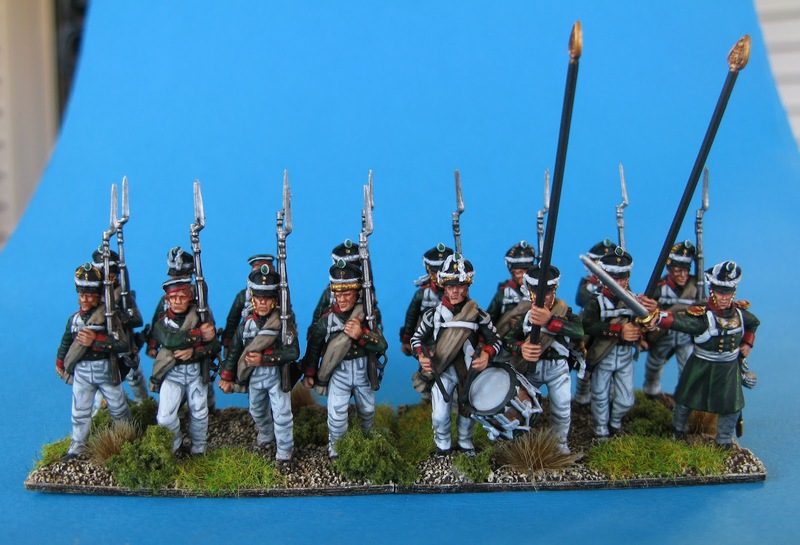 Although I still have not finished my Prussian brigade and I still have quite a few unpainted packs of metal French (Perry) I succumbed to the shiny new toy syndrome and bought myself a boxed set of Russian infantry from the Perrys. 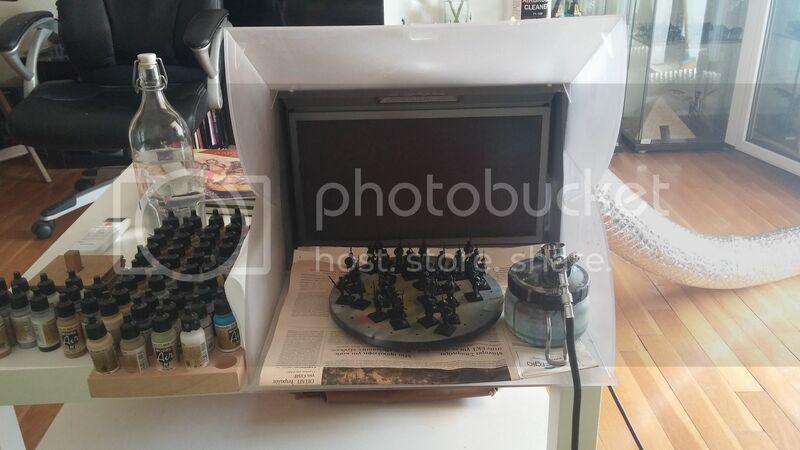 As usual, the quality of this set is very high and the detailing on the models is excellent. 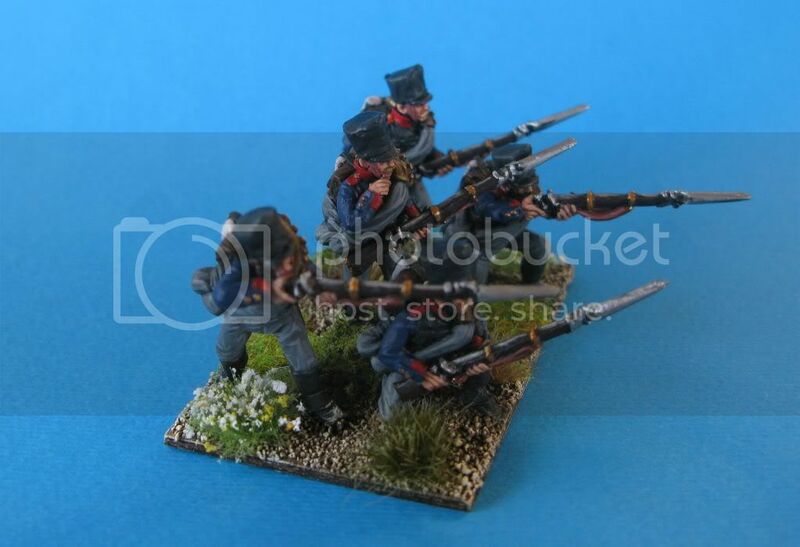 My only complain I guess are the bayonets. Some of them are not that well cast and I need to be careful when I start cleaning the figures. I am planning to organise my Russians around the forces that fought at the Shevardino redoubt. Therefore as a starting guide I am using the OoB from the GdB scenario book. 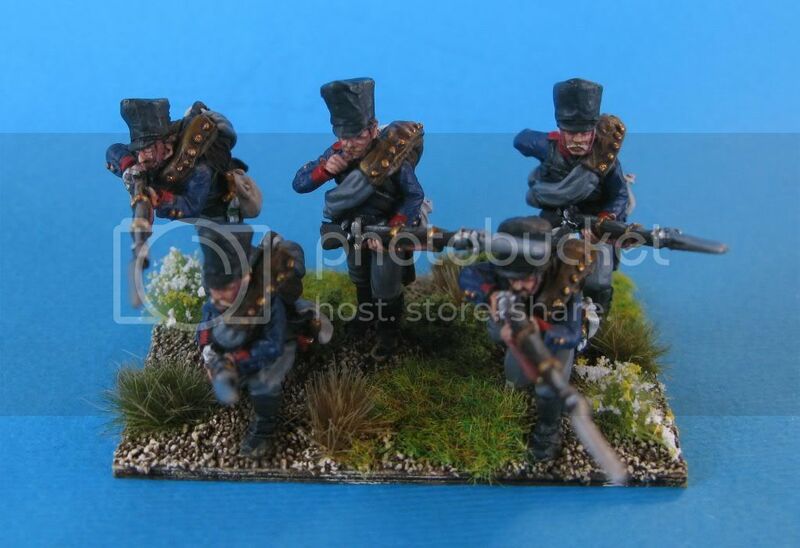 Now the real problem is getting the Green look nice on a figure of only 28mm... The purists out there will tell you that Russian Green was almost black but if I go for the right shade (that mind you no one can replicate 100%) I would end up with a black and white horde of figures.... What I am thinking of doing instead is to paint them in a dark shade of green (probably shaded with a black wash) and highlighted by mixing a cream colour to the green. Alternatively I could highlight them using a yellowish green but that would make them too fantasy like so I guess thats not an option. 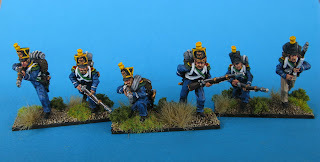 Work started on another French Line Battalion! A couple of weeks ago I updated my blog trying to motivate myself to paint more. 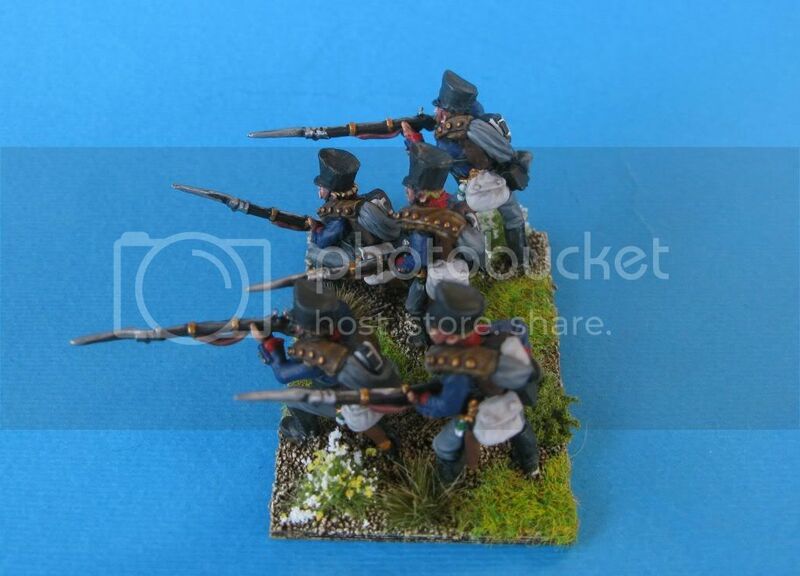 On the other hand however I finally decided to start working on some more French line infantry. I went again for metal Perry figures and I chose the ones standing at attention. For some reason I think these minis really look cool.